Thoughts: It’s still hard to believe that Quentin Tarantino has only directed eight feature films (I not counting the outings where he did additional filming or directed as part of an anthology)…but it’s impressive that each one has been a not-so minor classic. Anyone that has an appreciation for film should also have an appreciation for what Tarantino (Django Unchained) does, cinematically, with each of his films. From the cast to the score to the script to the production design to the cinematography, Tarantino shows time and time again in each and every frame that he celebrates film through and through. True, his proclivity for extreme subjects doesn’t leave him open to be fully embraced by audiences with quieter tastes, but his fans (myself included) always look forward to his next endeavor. 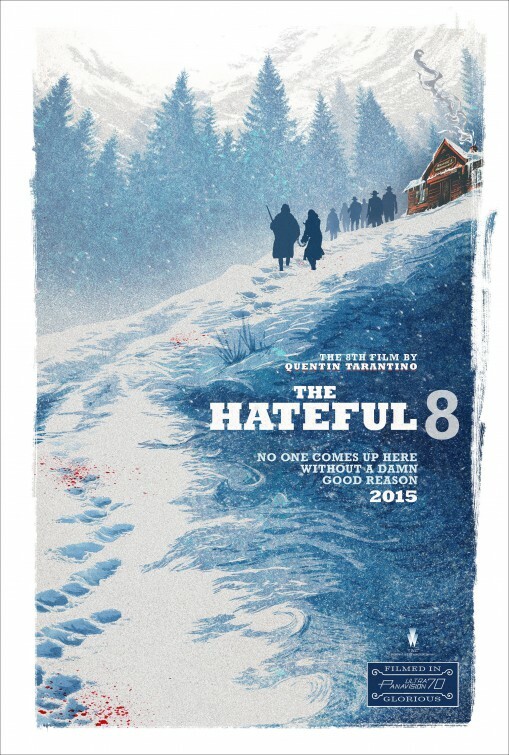 The Hateful Eight is one to get excited about. Filled with a stable of Tarantino favorites (and a few that you can’t believe have never worked with him before) and made in “glorious 70MM” this western drama takes place primarily on one set over one night…a bold move to make from an already bold director. This first teaser is a sight to behold, it gets the juices flowing and gives me faith that I can make it through another busy holiday schedule if this is going to be my reward. Can’t wait. Synopsis: With the help of his mentor, a slave-turned-bounty hunter sets out to rescue his wife from a brutal Mississippi plantation owner. Review: If you’re headed into a Tarantino film chances are you are expecting certain mainstays: coarse language, outrageous violence, non-linear storytelling, an eclectic soundtrack, and Samuel L. Jackson. This holiday season, right in time for Christmas, Tarantino is releasing his latest epic yarn that thankfully gives his audiences/fans exactly what they’ve come for – amped up a few notches. Django Unchained is one of Tarantino’s most enjoyable films, one that takes the standard spaghetti western and gives it a nice bristle brush scrubbing thanks to an assured bravado most filmmakers today wouldn’t dare to employ. Beginning in 1858, Tarantino opens his film with slave Django (Foxx) trudging along in chains through a desolate landscape after being sold at auction. A superlative theme song and the director’s trademark bold titles establish that the movie is operating in a slightly altered reality, though it is set in the heart of a country on the brink of civil war. This was the age of slavery and the film pulls no punches in how black men and women were treated, painting a fairly revolting picture on the way. All hope seems lost for Django until a bounty hunter by the name of Dr. King Schultz (Waltz) waltzes into his life and changes his path from plantation to salvation. Schultz needs Django to help identify a trio of wanted men…and in exchange he will give him his freedom and a split of the earnings. 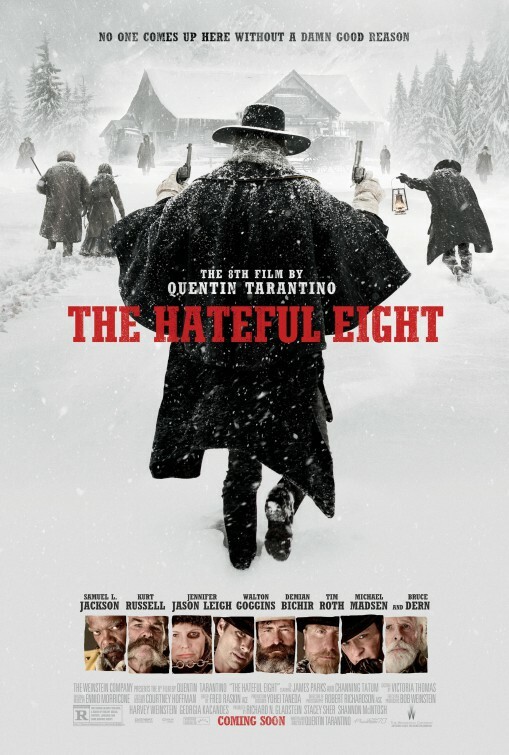 When this initial bounty hunt show promise, the men decide to team up for a winter until Django can return to Mississippi and find his wife (Washington). The first half of the picture is really a breezy buddy film as Django and Schultz make a killing (har har) tracking down the men that are wanted dead or alive. In between scenes of gruesome violence/vengeance there are some solid exchanges that Foxx and Waltz work wonders with. Waltz still shines from his Oscar winning turn in Tarantino’s Inglourious Basterds and returns in another memorable performance here in a role tailor-made for him. I often find Foxx to be a little overrated but his work as Django is exciting and commendable – starting off as a man with spirit but without hope, you gradually see the life reentering his body as his friendship with Schultz thickens and a reunion with his wife draws nearer. 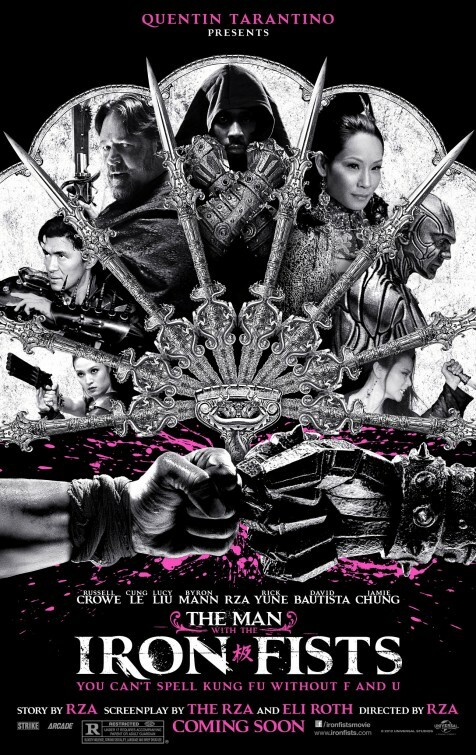 It’s about halfway through the movie that things take a curious, but no less interesting, turn as Schultz and Django set their sights on finding the location of Django’s wife Broomhilda von Shaft (just one of the memorable character names along with Jinglebells Cody, Tennessee Redfish, Chicken Charlie, and Lara Lee Candie-Fitzwilly). Information comes to them that Broomhilda or “Hildy” is now the property of one Calvin Candie (DiCaprio)…a silver spoon fed plantation owner Django and Schultz must outsmart if they are to save the girl and make it out alive. The final act of Django Unchained plays out in Candie Land, and it in and of itself could have been expanded into an entire film thanks to some fascinating dialogue from Tarantino, scenes of violence that are both hysterical and horrifying, and a troupe of actors doing some very brave work when you consider their previous film roles. It’s touchy subject matter but instead of shying away from it, Tarantino encourages all involved (the audience included) to go with it and stay engaged. Some early reviews of the film criticized Django Unchained for being too talky and long but I found it to be easier to get through than Inglourious Basterds (which I also liked). This is probably because the nearly three hour film is episodic in nature so it just has a natural flow from one adventure to another. In typical Tarantino fashion, the violence is surreal, stylish, and in your face. Nearly everyone comes face to face with a bullet at some point and they do one of two things: go quietly or die in screaming agony as the blood drains from them. It’s gory and grotesque but there’s something definitively cinematic about it that keeps it from feeling too exploitative. Though Tarantino packs his film with more recognizable character actors than I’ve seen in any film recently (including Ted Neely – the Jesus Christ Superstar of stage and screen), the leads carry the film with ease. In addition to the strong work from Waltz and Foxx, you have Washington playing the physically and emotionally taxing role of Django’s wife with beautiful confidence and Johnson as a Colonel Sanders looking plantation owner resisting the urge to be a cartoon. Johnson in particular has a riotous passage with would-be Klansmen that wind up fighting over the sacks they wear over their head. It’s a wonderful scene courtesy of Tarantino that gets the audience laughing at the bigoted bickering. DiCaprio finally figures out the formula to turning in an award-worthy performance: be a supporting player. Though many have cried foul that DiCaprio hasn’t received the award recognition he deserves over the years, I’d say that he really hasn’t truly earned it in any picture up until this point. Here, in a large supporting role, he does his best work in ages as a vicious southern brat that has the tables turned on him in royal fashion. Though much of the pre-release Oscar buzz has been for DiCaprio, I’d argue that the best performance in the film belongs to Jackson as DiCaprio’s head slave. As slyly evil a character as I’ve seen Jackson play, he goes all out in the vile department without tipping the scales to farce. I actually didn’t recognize Jackson the first few frames of the film he’s in, but once it sunk in and the audience saw him…it truly was his picture to steal and that’s exactly what he does. If DiCaprio is to receive an Oscar nomination (as he probably will) here’s hoping that Jackson gets one as well. The movie has about four endings and as the third hour was approaching I do admit that I was ready for the film to end. Tarantino just can’t leave well enough alone (or resist a personal and oddball cameo) and while the ending was satisfying and felt right, I also wouldn’t have minded if it had said its goodbye twenty minutes prior. That may not have worked for some audiences that demand explanation or a true wrap-up…but it would have made the ending of the film feel as special as the proceeding two and a half hours. Tarantino has done wonders with this genre…turning the Western picture into what he’s called a Southern. It’s a fast, funny, ferocious affair and it’s either going to send you out of the theater dazed and amazed or dazed and confused. I thought it was a splendid film for mature audiences and wouldn’t mind putting it on my end of the year Best of lists. Thoughts: I’ve read reports that the first cut of this film from freshman director (and star, and writer) RZA was four hours long. He wanted to split it into two movies ala Quentin Tarantino’s Kill Bill but co-writer Eli Roth steered him to a ninety minute cut. From four hours to ninety minutes? That’s a pretty big edit so either the movie will feel as choppy/sloppy as the trailer or it will have benefited from the trim by arriving as a slick bit of action pulp. I’ve always found Roth to be a pretty odious and misogynistic frat boy writer and I can already spot his “contributions” in the overlong trailer. With Tarantino himself on board as a producer, you can expect this will be the kind of movie right up his alley: stark raving mad.